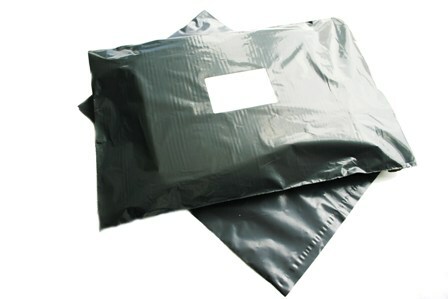 ﻿ Grey Mailing Bags 10" x 14"
Home » Grey Mailing Bags 10" x 14"
Strong medium size grey mailing postal bags, size 10"x14" (250mm x 350mm) with 40mm 'peel & seel' lips. Perfect for mailing your items and accessories at a very cost efficient price. Also great for A4 size items, allowing a little bit of overhang to get the product inside quickly and effectively.